Mad Head Games proudly presents another musical adventure in their popular Cadenza series! A mysterious masked gentleman crashes your perfect proposal dinner before you even get the chance to pop the question to your girlfriend, claiming her brother Theo signed a contract with him. But when Theo denies him, the man kidnaps your girlfriend as well, and now you are the only one who can save them from an eternal fate in another world! Search Theo’s apartment for clues and follow the trail, before you lose them forever in this charming hidden-object puzzle adventure. 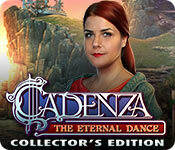 Cadenza: The Eternal Dance Collector's Edition is rated 3.6 out of 5 by 37. Rated 5 out of 5 by linzi1nz1 from Unusual Musical Theme Beautifully executed game with a musical theme.which was followed through all the way. Loved the hints trail with all the piano keys swirling and all the games were appropriate. Graphics light and bright, unlike the monsters and caves which can be too dim to see where anything is. I only wish I had not played it already, so I could play it all over again. More like this please. Rated 5 out of 5 by 1955raven from BEAUTIFUL GAME !!!!! LOVED EVERTHING ABOUT THIS CADENZA! STORY, AND MUSIC! THANKS TO BIG FISH AND MADHEAD. Rated 5 out of 5 by 78gameam from Another really enjoyable Mad Head Game Madhead Games does a really good job in the Cadenza Series of creating a good story line, nice puzzles, and great looking graphics. It is never tedious, always challenging, and enjoyable to play. Rated 5 out of 5 by valjoy from Best Cadenza yet! Just gorgeous. Sophisticated and detailed in plot and design. After simplistic and predictable games, this had nice twists in its take on the old Faustian tale. HOS had interesting variations and puzzles mostly fitted into the storyline. Mostly, the music was very appealing. Puzzles were a bit easy but for a muso like me, this was always engaging and intriguing. Would I sign the contract? Of course! Rated 5 out of 5 by Sward81333 from Sophisticated game A nice game with a quiet but lovely soundtrack. The game is a little shorter than most but enjoyable. 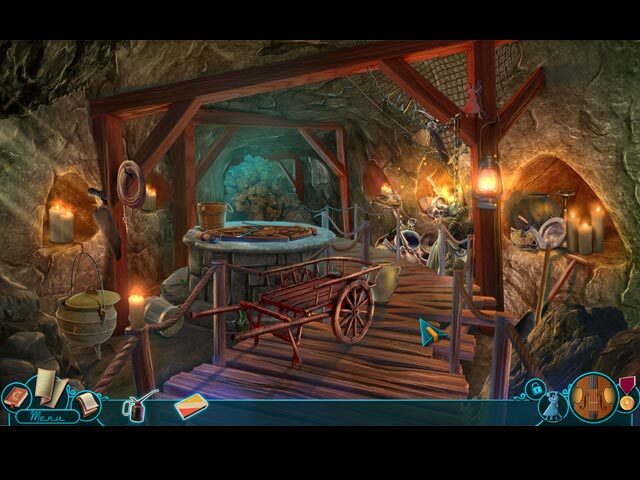 Rated 5 out of 5 by dfrigibier from Fun Hidden Object Game!" I couldn't stop playing this game. Didn't last long enough. Rated 5 out of 5 by nadaze2da from Review based on demo Lately Mad Hat games have been hit or miss and mostly miss. Mad Hat was one of my favorite developers but lately they have put out some real stinkers. This game is the best of their offerings recently. I don't know how many games have been offered to us with a Faustian theme but this one seems unique in that a contract is executed that sells one's soul in exchange for talent. 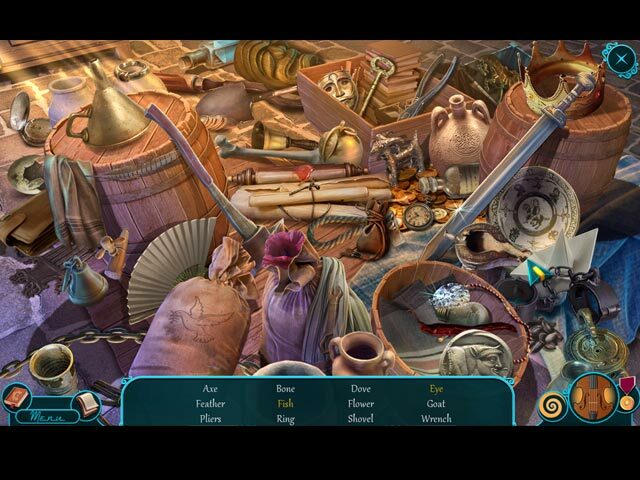 Many games offer the theme of black magic overtaking someone or an evil machine or even love turned tragic by obsession. Here the contract offers a life of acclaim but when time is up and the eternal dance begins for you, there is no way out although many have tried to cheat their fate. In this story, you play the part of best friend to Theo and lover of Elaine, Theo's sister. 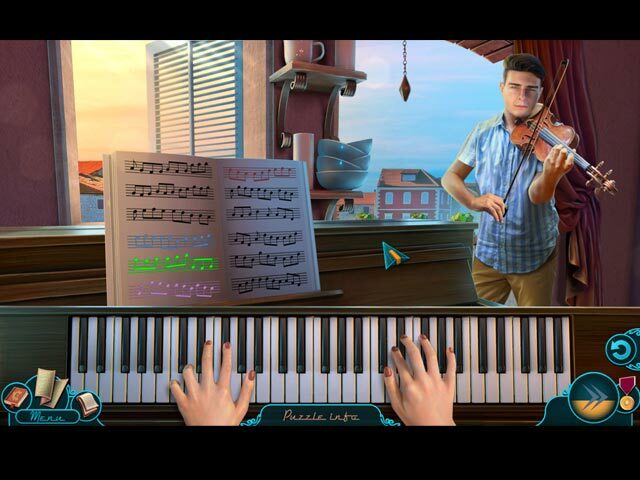 There is a gimmick in the game which is a cryptix that allows you to play musical instruments you encounter. At least it is not a fluffy kitty or yappy dog helper. We always complain that HOs are unimaginative but I would really like to know what could be done to make them more imaginative. How do you turn a list of items into something that will be ground breaking? There are morphing objects in the HOs but in the demo, I didn't come across anything imaginative. Voice acting is good and as usual the graphics are great. This CE edition offers collectibles, achievements and the usual CE fare. The mini games in the demo are not brain drainers but fun. Some people may want more of a challenge, but occasionally I like some that don't give me a migraine. I will definitely purchase this game because I found it engaging and there was not a missing zipper pull anywhere - yet. I may have to change that statement later however because the missing zipper pull strikes just about every game. The demo is short but as usual try it before you buy it. I do not recommend that anyone ever purchase a game without trying it. A five star game to some may be a two star game for others. My review is my thoughts on the game and just because I like it doesn't mean that you will. Try it and see what you think.